Should Cancer Survivors Consider the Benefits of Essential Oils? Yes. Here’s Why. There is a lot of information – both pro and con – about whether essential oils can help a person fighting cancer. Do I think they can support the body during the cancer battle? Absolutely. However in my personal experience I discovered essential oils a few years after my last medical treatment of chemo and radiation. I was coping with physical side effects from the grueling treatments, surgeries and second round of treatment when cancer returned. I found that there are, today, many benefits to me personally by using essential oils to support my wellness goals AFTER cancer. I was going to write a blog post about all of the reasons why… but Dr. Eric Z already did. “As more research is being conducted on natural therapies, it is becoming more than obvious that people do not need to use conventional practices like chemotherapy and radiation to eradicate cancer. Holistic remedies abound and a cursory glance on “Dr. Google” will rank several on the top of most people’s list. Of all the popular natural solutions out there, essential oils for cancer research has gained significant fanfare and for good reason. The truth about essential oils for cancer is four-fold. First – the research suggests that oils can help prevent and treat cancer at the cellular level. Additionally, and oftentimes overlooked, essential oils have been shown to be exceptionally effective at managing the side effects related to cancer itself and the side effects people suffer at the hands of medical interventions. Second – it is critical to recognize that this is not an all-or-nothing approach. Just because you’re taking chemo doesn’t mean that you can’t use oils. The same is true on the flip side of that coin. Far too many patients and healthcare practitioners dichotomize natural from allopathic therapies, and do not give enough emphasis on the practicality of using both together. 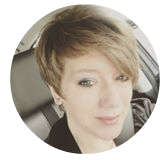 Third – we need to put things into proper perspective and remember that the peer-reviewed articles we have that evaluate the ability of essential oils for cancer to prevent, stop and even reverse the growth of various malignant lines are in vitro. In other words, we don’t many live human trials with hundreds or thousands of participants, we have studies that are testing human cells in a petri dish. This is not to say that these studies are useless. The point we need to take from this is that essential oils for cancer is still experimental. You can read the rest of this great article by Clicking Here. A helpful resource to research the benefits of essential oils is www.pubmed.gov. 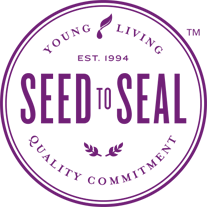 Have you enjoyed Young Living essential oils as a cancer survivor? 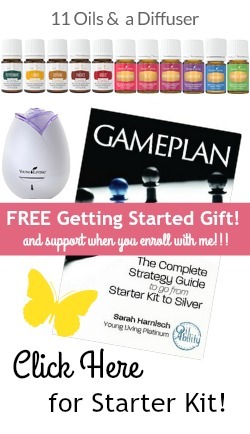 Want to know how to add these lovely essential oils into your after-cancer wellness routine? Comment below!